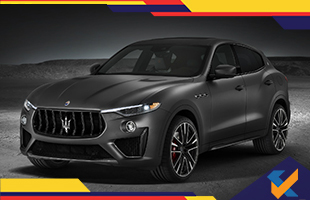 The motor show for the year 2018 is ongoing in New York and in this show, Maserati has showcased its new model Levante Trofeo. This model is manufactured in a limited manner only for the USA as well as Canada. This new model of Maserati is rocking the ongoing motor show of New York. It is also regarded as one of the powerful cars from the production of Maserati but it only has the limited edition. The major reason behind the popularity of this Levante Trofeo is its V8 petrol engine of 3.8 liters which has been made to offer 590 bhp and a peak torque of 730 Nm. It is also capable of offering a sprint of 0-100 kmph in just 3.9 sec and the top speed of the car will be 300 kmph which makes it be regarded as one of the World’s fastest SUV. The Maserati also claim that the engine of Levante Trofeo will provide the greatest output for a liter with 156bhp. Similar to all the petrol engines of Maserati, this engine is also made to be manufactured at the engine plant of Ferrari at the Maranello in Italy. To handle the total power of the engine, this Levante Trofeo has been planned to be provided with a re-tuned chassis and a 22-inch alloy wheels made up of aluminum. These wheels are also provided with matte finish or polished. The side bezels of this car are made to be carbon-free and also include a splitter with carbon fiber. It is made to be featured with a V8 engine of 3.8 ltr petrol engine which produces 590 bhp and a maximum torque of 730 Nm. The top speed of this model is 300 kmph and it will offer 0 to 100 kmph just within 3.9 seconds.